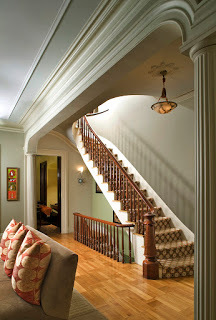 Owning and operating a bed and breakfast, you can imagine that brunch is one of the favorite things to do in Boston. You can have it any number of ways, long and leisurely, short and intoxicating or just about anything in between. However, what is one to do when Eggs Benedict has becomes banal and Mimosas lose their luster? Try Dim Sum. Though it will not satisfy your craving for traditional breakfast items, it will provide you with an exciting alternative perfect for exploring different cuisine and culture. Historically Dim Sum may have originated from a casual tea service for those seeking light sustenance or for travelers along the ancient Silk Road in China. The provisions which were, and still are accompanied by tea are small portions or individual dishes. 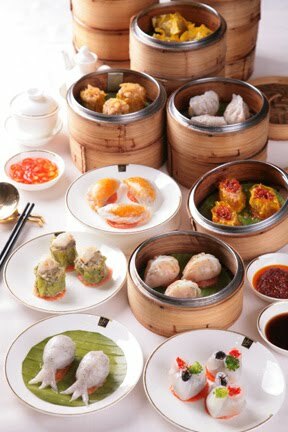 Today Dim Sum is known for the popular serving method in which individual steamer baskets are delivered by cart to the table. Each cart carries different menu items for guests to enjoy. In Boston, Dim Sum is offered at many different times of day and the week. Traditionally it was a weekend family activity, but was also a popular mid day break or tea time routine. Consider having a light Dim Sum the next time you are staying at a Back Bay Hotel or research a Dim Sum in your home city. The possibilities are more plentiful than you can imagine. With an active Chinatown, Boston must not be short of fabulous options for Dim Sum. While the options may be as endless as the offerings of the Dim Sum carts themselves, we picked two of our favorite Dim Sum venues in Boston. 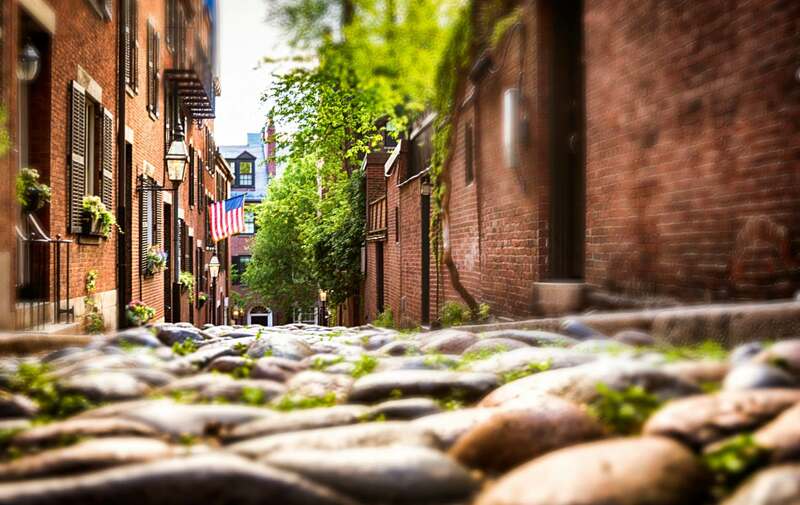 In the South End you will find some of Boston’s best dining options and favorite restaurants. 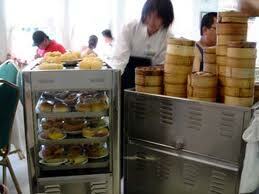 But Dim Sum? Yes! Joann Chang’s Myer’s + Chang offers an approachable version for Dim Sum virgins. The menu features familiar dishes that can satisfy both the Dim Sum novice and veteran. 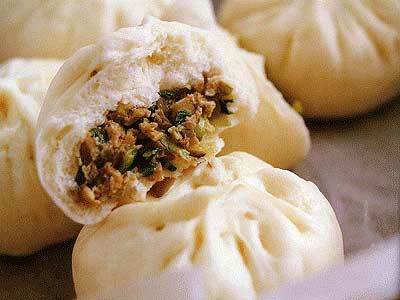 Not to be missed are the selection of Bao which is available with Tofu or Short Ribs. Chef Chang’s tasty dishes are mouth watering and always leave our guests satisfied. So whether you are just entering the world or Dim Sum or have a more discerning palate you will not not leave Myers + Chang anything but happy! For the most authentic of experiences, we recommending seeking one of the best restaurants in Boston’s Chinatown, well, not exactly IN Chinatown. The Hei La Moon, a little-known yet outstanding restaurant and dim sum house, is one of many Chinese restaurants located on Beach Street, a main street in Chinatown. This established eatery; however, resides on the other side of the surface road from the main part of Chinatown, in Boston’s Leather District. The important thing to note is that the Hei La Moon is one Chinese restaurant that excels in nearly everything it does. The professional staff set Hei La Moon a part from the more informal restaurants found in Chinatown. Located in one of the many old buildings that make up the Leather District, Hei La Moon is enormous inside, making it perfect for dim sum. Hei La Moon has two menus. The more authentic Chinese menu, features rather unusual dishes. Included on the Dim Sum menu are shark fin dumpling, lotus seed buns, and duck feet. For those looking for more Americanized dishes, you will eat delicious and familiar dishes as well. Whether your travel to Boston has you seeking brunch or the Dim Sum alternative, you will have a diverse restaurant selection at our bed and breakfast and its South End location. Central to the restaurants of our neighborhood, all of Boston’s Best Dining we are within walking distance to many of the most popular restaurants. You will not feel guilty have those few extra calories when you cannot resist the cogee or reach for that last Bao at Dim Sum. You will walk around our beautiful city or climb a few extra stairs to our rooftop hot tub. Take in all the sights and most importantly all the flavors that Boston has to offer.There is Dim Sum-thing for everyone! This entry was posted in Uncategorized and tagged boston bed and breakfast, Boston brunch, Boston Dim Sum, chinatown, Chinese restaurants, hei la moon, leather district, south end restaurants, things to do in Boston, travel to boston by admin. Bookmark the permalink.